MPM Bordered Foam Dressing is waterproof with an adhesive border. 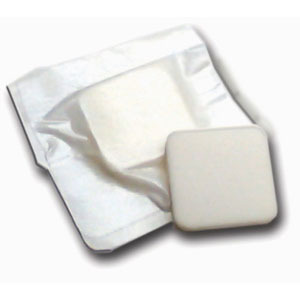 Absorbs large amounts of drainage and reduces pressure on wounds. Reduces pressure on the wound. Specialty foam quickly absorbs large amounts of fluid. Protects the wound from contamination. Provides soft, absorbent protection to painful wounds. Can be left on 5 to 7 days, depending on drainage or protocol.